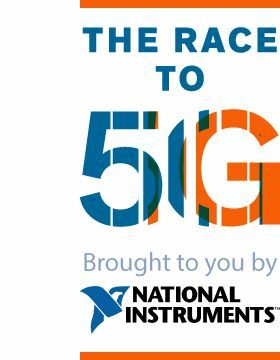 Follow along as IEEE Spectrum summarizes the most interesting news and developments related to 5G standards through the 5G Tech Tracker. AT&T announced it would have 5G ready for mobile phones in a dozen U.S. markets this year. And added that they expect to be the first U.S. carrier to deploy it. AT&T and Verizon have so far played it safe with fixed wireless networks, on which signals travel between two stationary points. Getting signals to follow people around is much harder. AT&T tipped its hat to the standards body 3GPP for issuing the first 5G New Radio specification in December 2017, which manufacturers can now use to develop hardware and devices. Bloomberg reports. The surprise revelation from the Chinese manufacturer at CES 2018 is striking, since standards-based mobile 5G networks are not expected until 2020. However, AT&T has said that it plans to begin offering 5G mobile service in some U.S. cities later this year. Which leads us to the 5G version of the chicken-egg problem. Which will come first—the smartphone or the service? And where exactly ZTE plans to find chipsets for 5G smartphones remains a mystery, since chip manufacturers have yet to announce any. reports. That includes industry efforts to establish 5G standards, which the companies have collaborated on since at least 2016. The directive reflects American regulators’ longstanding suspicions that Huawei may use smartphones and network infrastructure to conduct surveillance for the Chinese government. AT&T also recently ditched a plan to sell Huawei’s smartphones to its customers after pushback from regulators. T-Mobile is a feisty company, and it’s not at all unusual for their executives to publicly tease or berate competitors AT&T and Verizon. Even so, T-Mobile CTO Neville Ray’s latest blog post is a master class in corporate straight talk. He lambasts AT&T’s “5G Evolution” proposal from 2017, calling it #Fake5G. And he criticizes Verizon’s plans to launch pre-standard 5G over fixed wireless later this year—saying “I can’t believe I have to say this, but yes, industry standards matter.” T-Mobile has promised standards-based, nationwide mobile 5G service by 2020. Ericsson is preparing software that wireless providers will be able to run across their networks to support 5G service by the end of 2018. The software is compatible with the recently-released 3GPP 5G New Radio standard and coordinates activity within the Radio Access Network (RAN), the layer that routes information between the core network and personal devices. Other software the company is working on will help boost network throughput and capacity to 5G levels. Put all this together, and a recent Ericsson study found that 5G could deliver data at 10 times lower cost per gigabyte than 4G. Shortly after Ericsson said it would soon be ready to support 5G with new software and network equipment, Swisscom signed up to be one of the first carriers to roll those products out in Switzerland. The companies said today that Swisscom will have mobile 5G up and running in parts of Switzerland by the end of 2018—long before industry standards are finalized and months before 5G-enabled smartphones are expected to hit the market. Swisscom also said it would test a “5G mast” to support mobile coverage with Ericsson in March in the town of Ittigen, just outside of Bern.